BAS-SOL Pty Ltd is able to conveniently provide the following services to Individuals, Companies, Trusts and Superannuation Funds from its Claremont office. As registered tax agents, BAS-SOL can attend to the preparation and lodgement of tax returns for the above entities. 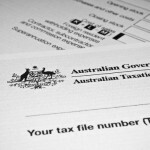 We are available to provide Income Tax, GST and related advice from our office. BAS-SOL’s qualified accountants can, in addition to being responsible for your bookkeeping functions, prepare and present the mandatory annual financial statements. Advice in relation to your appropriate corporate structure, cash-flow management and profitability improvement is available. We can arrange for the set-up of the appropriate corporate entity structures in accordance with your requirements. Clients can now enjoy the convenience, efficiency and other benefits associated with out-sourcing and centralising their administrative, bookkeeping, taxation and accounting functions with one particular service provider, BAS-SOL.